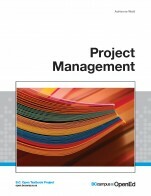 This module covers the entire scope of project management at an introductory level. A simple, friendly introduction to DMAIC and Lean Six Sigma. Define, Measure, Analyze, Improve and Control.